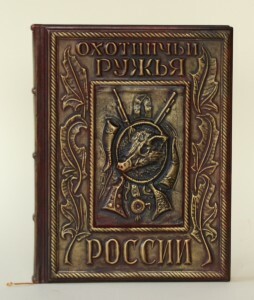 Binding of the encyclopaedia “Hunting Rifles of Russia”. 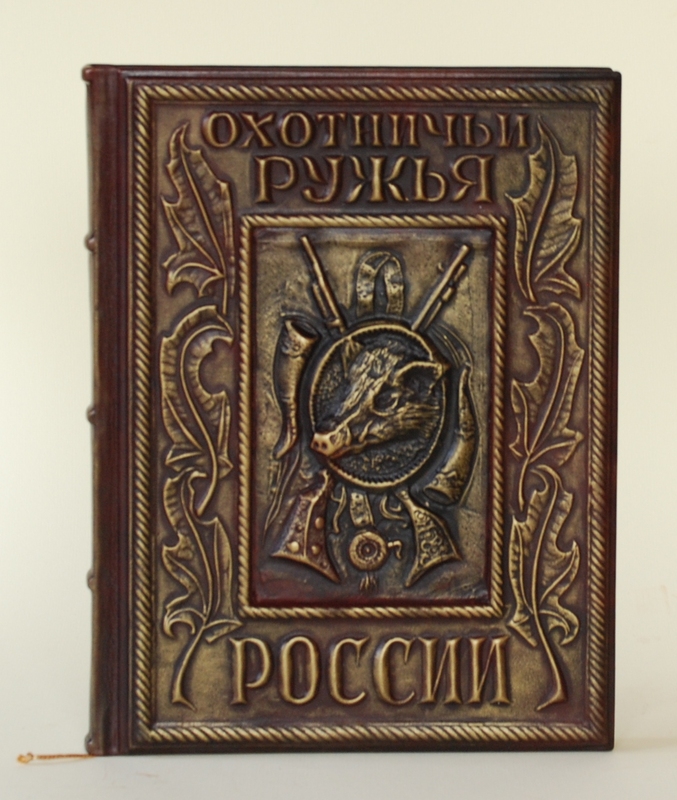 Size 20х28 сm. Bas-relief stamping, toning.